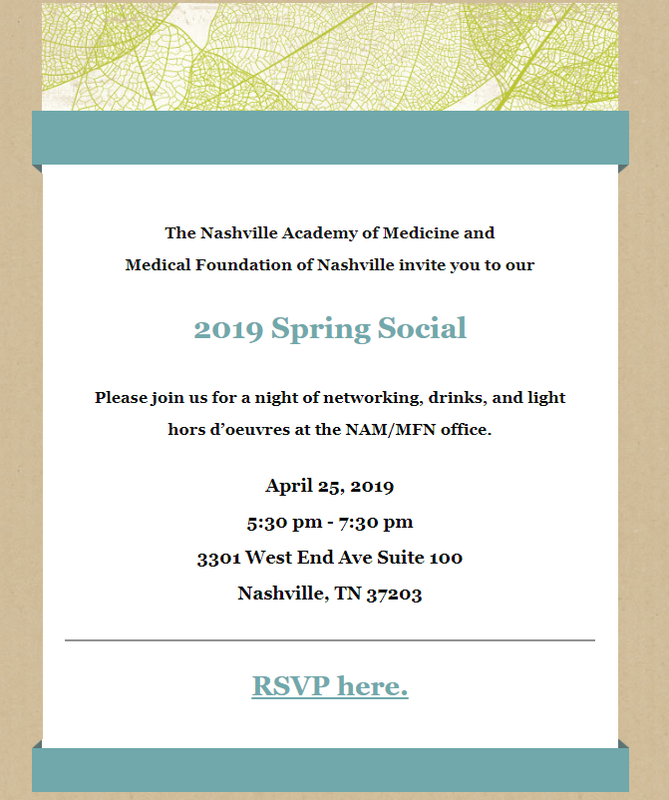 Become a Community Partner of the Nashville Academy of Medicine and support the new foundation, the Medical Foundation of Nashville! The Community Partner is an individual investment of $200, which includes a $100 tax deductible donation to the Medical Foundation of Nashville made on your behalf! The other $100 is applied to the cost of the event invitations and communications you will receive in the coming year. This designation is renewable annually in the same quarter. Physicians and physicians-in-training should refer to the Physician Partner opportunities. Want to make a donation? Click here to support the Medical Foundation of Nashville with your donation.